Training materials from this workshop for you to use to train others can be found on the UC IPM Web site, special Master Gardener pages http://www.ipm.ucdavis.edu/FAQ/mgadvanced.html. Materials specific to the June 26, 2013 workshop such as the morning presentation, "clicker" surveys and results, and answers to some of the breakout activities will be posted here soon. 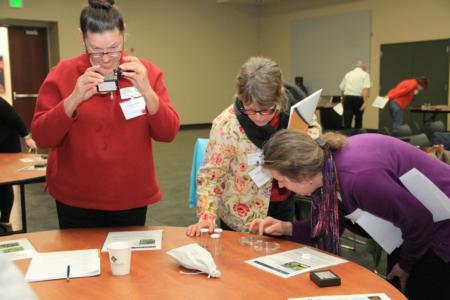 The UC Statewide IPM Program together with the Statewide Master Gardener Program is sponsoring a regional Advanced IPM Training for UC Master Gardeners. This exciting program will be hands-on, train-the-trainer style where attendees will learn and be given resources needed to educate others. 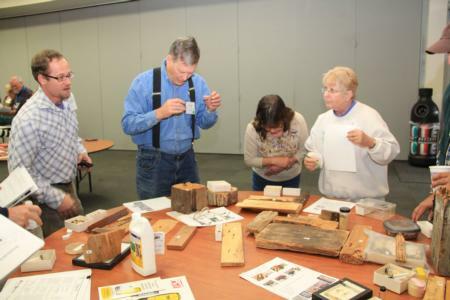 Participants are expected to share the information they learned with other Master Gardeners in their counties, as well as the public.